EMG Senior Leadership partners, sustainability experts and consultants with focus on sustainabile development goals (SDGs). 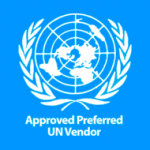 With native fluency in more than 20 languages,including all six official languages of the United Nations: Arabic, Chinese, English, French, Russian and Spanish. EMG’s project management and research teams are bespoke for each client, ensuring an excellent understanding of our client’s industry, culture and stakeholders. 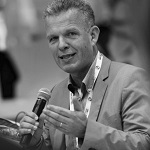 Drs Daan Elffers Founder and CEO of EMG Group, Elffers has extensive experience working directly with businesses, governments and non-profit organizations. Named one of the ‘100 Most Talented Leaders in CSR’, Elffers was the Chairman of the CSR Summits in Jeddah and Dubai, the longest running CSR summit in the region. Elffers is a Guest Member of the Circular Economy Taskforce at the World Economic Forum and Strategic Advisory Council Member to the Institute of Environmental Management and Assessment, the world’s largest organization for sustainability professionals. Daan founded Islamic Reporting Initiative (IRI) in 2015. Languages: English, Dutch, German, French. 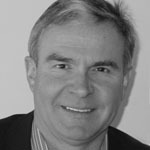 Nick Pease Seasoned philanthropy, social responsibility sponsorships, business development and CSR executive with extensive experience developing CSR programs, effective communications and strategic partnerships from a range of perspectives. Nick is an award-winning strategist with more than 30 years’ experience in strategic communications, corporate responsibility, crisis communications and public relations including overseeing global CSR strategies and philanthropic partnerships. Prior to joining EMG he played key roles with some of London’s largest agencies including Publicis, TBWA and McCann-Erickson. Languages: Spanish and English. 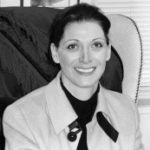 Drs Zeljka Davis-Vorih is a strategist with more than 15 years of experience with stock-listed companies in structuring teams at various levels and development of CSR positioning concepts. Experienced in: reputation management, sustainability and corporate positioning, responsible business communications strategies and stakeholder management. Zeljka holds a Master’s degree from the Rotterdam School of Management. 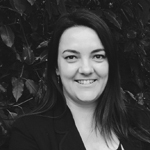 She is an expert on the UK Resource Revolution steering group for Circular Economy and has conducted her postgraduate work in 2015 at the University of Cambridge Programme for Sustainability Leadership . Languages: Dutch and English. Dr Robin Porter EMG’s Senior Asia consultant, Robin is a highly experienced specialist and the former Counsellor for Science and Innovation at the British Embassy in Beijing (2002-2005). He is currently working on various projects including for the European Commission and the BBC, and is also Visiting Professor at the Centre for East Asian Studies, University of Bristol. His latest book is entitled ‘From Mao to Market: China Reconfigured’ and is published by Columbia University Press (USA) and Hurst (UK). Languages: Chinese and English. Dr Suhaila Mohamed Over ten years of experience of working in Arabic, English, and French for a variety of international organisations (United Nations Mission in Sudan (UNDIS) and the Organisation for the Prohibition of Chemical Weapons (OPCW)), universities (the University of Khartoum), and other institutes (e.g the Islamic Institute of Translation). Her expertise and training has equipped her to work in multi-disciplinary and multi-cultural job situations, and to carry out translation and interpretation tasks to a high professional standard. Languages: Arabic, English, and French. Ramsi Jazmati holds Masters Degrees from the University of Navarra, ESADE Business School and IESE Business School, Jazmati is doing his Ph.D. in the Leadership of Arab Women at the Institute of Business and Humanism in Spain. As deputy director for the President in Choiseul Institute, Spain, a think tank and independent research centre specialised in geo-economic studies, and director at the Arab-Spanish Centre for Culture, Research and Higher Education, Jazmati supports various cultural programs between prestigious institutions in Spain and the GCC region. Lanugages: Arabic, Spanish and English. Dr Hala Taweel has worked and advised for the last 20 years at national and international levels on strategic project development and implementation related to higher education, university administration, government relations and organization structures with specific focus on the US, Middle East and North Africa region, and for the last six years has focused on the UAE, and KSA. She holds a PhD in Higher Education Administration from Boston College, USA, and a Master’s degree in Public Administration from Harvard University. Dr Taweel is fluent in Arabic, English and French. Engr. Khaled Adas, a change agent professional offering 25 years of progressive leadership experience at Fortune-100 companies. Expert in developing and leading innovative large scale thought leadership strategic initiatives for sustainable socio-economic impacts in collaboration with multi-stakeholders like governments, multilaterals, NGO’s, academia and private industry leaders. His passion about CSR led to the successful implementation of various community outreach development programs, delivering digital literacy programs for underserved communities, fostering STEM innovation, and building entrepreneurial capacity for youth resulted in inspiring over 2 million individuals in the Arab world. Raza Chevel Associate partner for the United Arab Emirates based in Dubai. 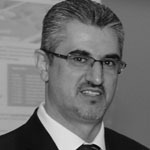 Formerly with KPMG and the Institute for International Research in the Middle East, Raza has more than 20 years of management experience working with a diverse range of businesses, government organizations and NGOs. Educated at Berkeley and the George Washington University School of Business, he has experience across Europe, Africa, Asia and North America. Passionate about sustainable innovation, he is a firm believer in strategic development through education and training. Languages: Arabic and English. 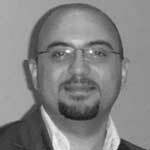 Dr Costas Velis (BSc MSc DIC PhD MInstP MCIWM) is an academic at the School of Civil Engineering, University of Leeds, UK, where he coordinates a cross-disciplinary network on Circular Economy & Resource Recovery (CERRY). 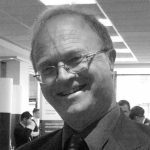 He is Vice Chair of the ISWA European Group; Head of the Waste Atlas Partnership Scientific Committee; and Vice Chair of the Waste to Energy Resource and Technology Council – UK. Costas’s academic research papers have been honored with many prestigious Awards, including those from ICE, CIWM and ISWA. Dr Velis holds a PhD in Environmental Engineering from Cranfield University, an MSc in Environmental Engineering and Sustainable Development from Imperial College London, and a BSc in Physics. Languages: English, Greek. 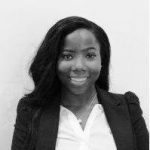 Marlene Boateng, MSc Social Development CSR consultant with work experience in both the UK and Sub-Sahara Africa. She has diverse experience within the private sector, government and NGOs. Worked on societal impact project and the humanitarian innovation program (private sector, humanitarian disaster preparedness and response). Marlene’s expertise in the field of CSR encompasses social impact assessment, CSR strategy, corporate benchmarking, stakeholder engagement and community development. She holds an MSc in Social Development – specialising in Environmental Sustainability – from University College, London. Marlene’s key interests are in the natural resource and infrastructure sectors, particularly in the Africa region. Languages: Akan, Pidgin and English. 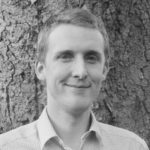 Dr Richard Manlove Specialised in building sustainable businesses and has experience in building strategies to support sustainable food production. He has 30 years of experience in crop science and animal health, managing global product portfolios, international teams and business units. Rick has a unique combination of biological training and commercial experience in agriculture and the food chain and is conducting postgraduate work in the University of Cambridge Programme for Sustainability Leadership. Languages: English and French. 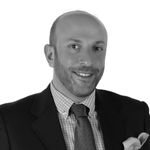 Imad Kayed is a seasoned marketing and PR professional based in the UAE, specialized in Islamic Finance. Educated in Beirut (Saint Joseph University) and the UK (Cambridge), Imad holds a Bachelor’s degree in business administration and marketing, and an MBA in strategic marketing. Over the past decade, Imad has built an exceptional track record in the MENA and was one of the founding members of the UAE-based Business Islamica Magazine, the first business magazine featuring exclusive coverage of Islamic business and finance. Languages: English, Arabic, French. 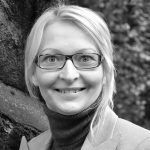 Katharina Wittgens, MSc, is specialised in training and coaching in professional sustainable development. She gained extensive experience in designing, managing, and presenting trainings and workshops on professional development and has lived and worked in Germany, the USA, Australia, France and the United Kingdom. Driven by her passion for sustainable change, she completed a MSc in Business Psychology with the vision to encourage leaders and their teams to do business in a responsible and sustainable way. Languages: German and English. 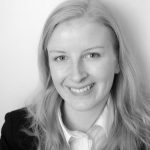 Katarina McCartney, MSc in Environment, Science and Society senior sustainability consultant, specialising in the healthcare sector. Katarina holds a BSc in Environmental Science from the University of East Anglia and an MSc in Environment, Science and Society from University College London. 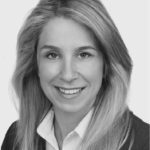 She has extensive experience in developing, implementing and leading sustainability strategies in highly regulated industries. Formerly with the NHS, she was the first person with specific responsibility over sustainable development and has worked on both hospital-centric sustainability strategies, as well as the national context of sustainable health and care systems. Katarina is also a lecturer in sustainability management at Anglia Ruskin University in Cambridge. Languages: Finnish and English. 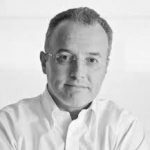 Dr Alberto Andreu is an expert in aligning organizations undergoing transformation and has extensive experience in harmonizing business goals, values and principles with the daily operation of companies. He has broad experience delivering lectures at professional forums and companies and has also spoken at the headquarters of the United Nations in New York and Geneva. 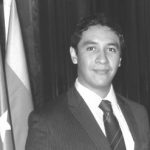 He holds an MBA from IE Business School, a law degree from ICADE and is a PhD Candidate in Economics. He is an Associate Professor of the School of Economics and Business Administration at the University of Navarre and is patron of the Chair of Economic and Business Ethics at Comillas Pontifical University. Languages: Spanish and English. 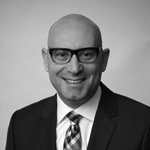 Mosab Obeidat is an experienced senior executive specialized in organizational development and business growth. Prior to joining EMG he was the Assistant Chief of Mission with the Qatar Red Crescent and held various specialist and management positions with businesses and governmental organizations including more than a decade with the US Department of State, at Amman Mission in Jordan. With an impressive track record overcoming socio-political and business issues involving critical aspects of financial policy and strategy, he is a noted authority on financial policy and skill formation facilitating economic development and competitiveness. 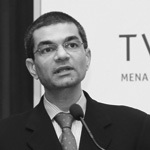 Mosab is a frequent speaker at global policy round tables and seminars. Languages: Arabic and English. Dr Nina Kojevnikov Former editor with the Organisation for the Prohibition of Chemical Weapons (OPCW) in The Hague, Nina holds a Ph.D, M.A., and dual B.A. degrees from the University of California at Berkeley. 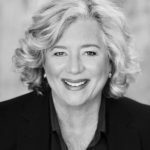 She has edited, drafted documents, and provided training and advice for a number of other international organizations worldwide including UNICEF, Kluwer Law International, and the American Embassy in the Hague. She has edited and/or co-authored publications and training materials in a wide spectrum of fields: management and leadership training, human‑resources skills development, women’s issues, humanitarian concerns, corporate materials, education, legal matters, development, and disarmament issues. Languages: English and Russian. Bridgett Luther is a Co-founder of the Cradle to Cradle Products Innovation Institute with US Presidential Award Winners William McDonough and Prof Dr Michael Braungart. Under her leadership the Institute became the private sector centre point for the certification of products, improving their design to promote human and ecological health, eliminating the concept of waste, increasing materials reuse, and promoting the use of 100% renewable energy, clean water, and socially responsible business practices. Prior to that she served Governor Schwarzenegger as California’s Director of the Department of Conservation. Her 750-person team, with a budget of $1.2 billion, was responsible for overseeing the oil, gas, geothermal and mining industries. Patricia McCall Master’s degree in International Affairs focuses on developing policy recommendations for regional governments and the private sector in the areas of economic growth, job creation and youth employment. 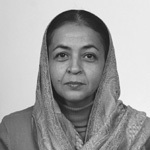 She currently serves as the Executive Director of the Centre for Economic Growth at INSEAD Abu Dhabi, and has also worked for the IFC, part of the World Bank Group, where she focused on regional investment climate and regulatory reform, developing business enabling environment programs in Jordan, Lebanon and Egypt. McCall received her Master’s degree in International Affairs, focusing on Middle East studies and economic development, from Columbia University’s Graduate School of International and Public Affairs, New York. She is Lebanese-American and is a member of the Young Arab Leaders UAE Chapter. Fothergill is a Chartered Environmentalist and the former Policy Lead of the Institute of Environmental Management and Assessment (IEMA). 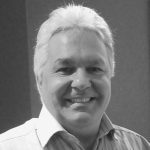 He is recognised for his expertise in Environmental Impact Assessment (EIA) and has also produced practical sustainability research on how organisations move from waste to resource management, as well as developing the core sustainability knowledge for IEMA’s professional membership levels. Fothergill is a very experienced workshop facilitator, having delivered well over 150 workshops over the past decade addressing sustainability issues including national strategy planning, major infrastructure projects, and the practical implementation of environmental management systems and the circular economy. Dr Cyril Widdershoven has during his work at Deloitte, Capgemini and TNO been heavily involved in assessing and addressing the challenges of MENA-based corporates and government organizations with relation to CSR implementation and challenges. The last years, Cyril has been heavily involved within the set-up of CSR frameworks for Arab entities, especially family offices and government entities, with specific emphasis to maximize benefits of the corporate activities. Focus has been on co-creating value for business and society, increasing the effects of setting up programs and frameworks with society, via the right partners, applying CSR principles at community and business levels. Main target areas have been to get CSR on C-level tables, while strategic partnering throughout the corporate or organization is set up and implemented, in close cooperation with society. Languages: Arabic, German, English. 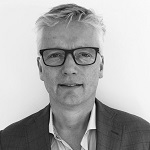 Rob van der Stel is an experienced Business Management and Growth Strategy professional with an extensive background in Strategic Market Development and Investment Due Diligence in innovation and technology driven organizations. He applies scenario methods to understand complexity, reduce uncertainty and develop new opportunities for organizations that support the transition of traditional energy reliant countries and regions in the MENA region. 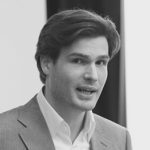 He graduated from Vlerick Business School – Innovation & Entrepreneurship and holds a BSc in Chemical Engineering. He worked 8 years as Sr. Manager New Business & Ventures for the leading research and technology development organization TNO. Mr. Rob van der Stel has received the Royal Award of Knight in the Order of Oranje Nassau due to his work as Chairman and Master Fundraiser for the Dutch Rett Syndrome Foundation. (PhD candidate) Michael Nates is a seasoned management consultant and professional with more than 20 years experience. His career has focused on team and management development, leadership, organisational change and transformation within the contexts of the built environment, sustainability, asset management and corporate responsibility. 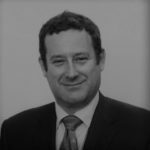 Trained as a Mechanical Engineer, he has since been awarded professional Engineering and Chartered Environmentalist status and is currently reading for a Doctorate of Business Administration with the University of Liverpool. Michael uses his dual technical and management competencies to address business’ complex dynamic situations in order to implement practical cost effective people-centric solutions. Henri Estramant LLM has been advising on international affairs, protocol and diplomacy for several years in Europe, Latin America and the Middle East. He is experienced with strategies for ministries/government authorities for sustainable tourism, reputation management, PR & communications as well as financial development. He holds a bachelor degree in Global History and EU Law from Stockholm University and a master degree from the Vrije Universiteit Amsterdam. EMG Sustainability consultants are passionate about social and environmental responsibility issues and dedicated to showing companies how an effective, well-implemented CSR strategy and sustainabiliy plan can add significant value to the business bottom line and create a stronger business overall. From market assessment, CSR analysis and developing a sustainability strategy, right through to every aspect of CSR implementation and sustainability reporting, our dynamic team of sustainability consultants, specialists and other professionals will enable your business to maximise its sustainability potential- while intelligently minimising risk. Starting from within, we help businesses to be the very best they can be. Overview of EMG CSR Sustainability consultants regional and global leaders.